SYNOPSIS: In Rage Play, three women try to understand why they’ve killed a man…and why they must keep killing him. And why he keeps coming back. 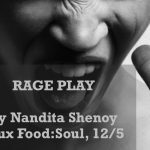 Inspired by the #MeToo movement, Nandita Shenoy’s powerful play explores the cost women face in fighting back against misogyny and patriarchy, and how they might be complicit in these systems. Set within a purgatorial theatre field, the women work through memories of abuse in hopes of finding liberation…or at least a little revenge. 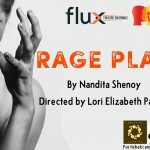 Rage Play is part of Flux’s FluxForward program. This developmental reading will be followed by a facilitated conversation. 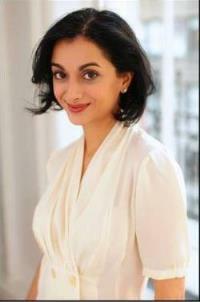 Lori Elizabeth Parquet (director) is an actor, playwright, director, and teaching artist from New Orleans, Louisiana. She received her B.A. in Theatre Arts from Cornell University. Her New York City credits include Macbeth, Dispatches From (A)mended America (Off- Broadway: Epic Theatre Ensemble), Dog Act, Ajax in Iraq, Honey Fist, Rizing, Am I Dead: The Untrue Narrative of Anatomical Lewis (Flux Theatre Ensemble), The Providence of Neighboring Bodies (Ars Nova), Medea, The Cult Play (Phoenix Theatre Ensemble), and Republic, Baal, and Murder In the Cathedral (Hoi Polloi). She made her international debut performing in Pillars of Society at Teater Ibsen in Skien, Norway and performed in the 2018 Edinburgh Fringe Festival, reviving her role in The Providence of Neighboring Bodies. 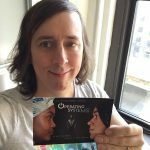 As a playwright, Lori was selected as one of six featured playwrights for season five of the Fire This Time Festival in New York City in 2014. 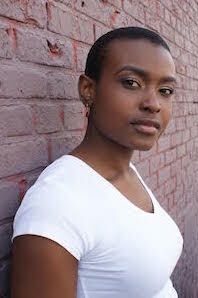 Her most recent play, In Communion, is published with Indie Theater Now and her play, Sir, was staged in 2013 as a part of Flux Theatre Ensemble’s Understand Our Ground—a night of theatre dedicated to the challenging issues surrounding the murder of Trayvon Martin. As a director Lori has assistant directed The Public Theater’s Shakespeare in the Park productions of As You Like It, and Twelfth Night. As a teaching artist, Lori has taught many aspects of theatre, including acting, playwriting, and directing to various populations across New York City. She has taught with such esteemed organizations as The Public Theater, Stella Adler School of Acting, Epic Theatre Ensemble, and CUNY Creative Arts Team. WHAT IS FOOD:SOUL? 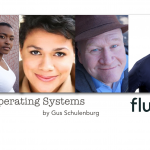 Flux’s potluck play development series provides a process for a staged reading of a play that Flux is passionate about. It also provides an opportunity for community-generated work in response to urgent issues. Food:Soul features free food for the audience, home cooked by the Flux community, often in partnership with Judson Memorial Church’s Bailout Theater. Learn more here. WHAT IS FLUXFORWARD? 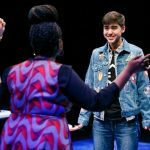 FluxForward is an open-ended playwright residency program with Flux Theatre Ensemble that provides four playwrights with significant developmental support, a commission, the strong possibility of production and the hope of a creative home. Learn more here.